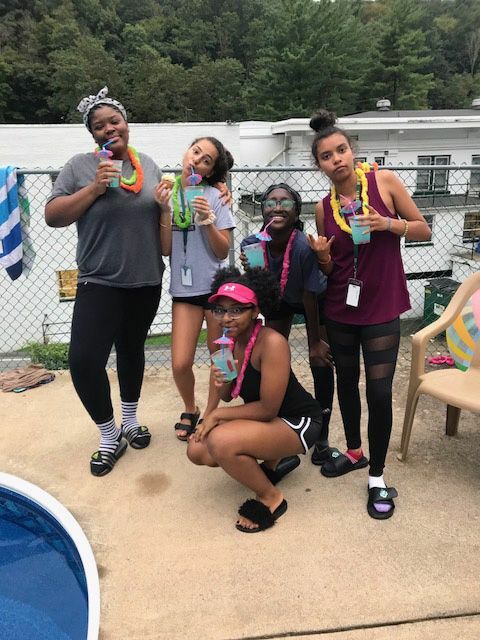 Grier School | Finishing the First Week of Classes with a Splash! 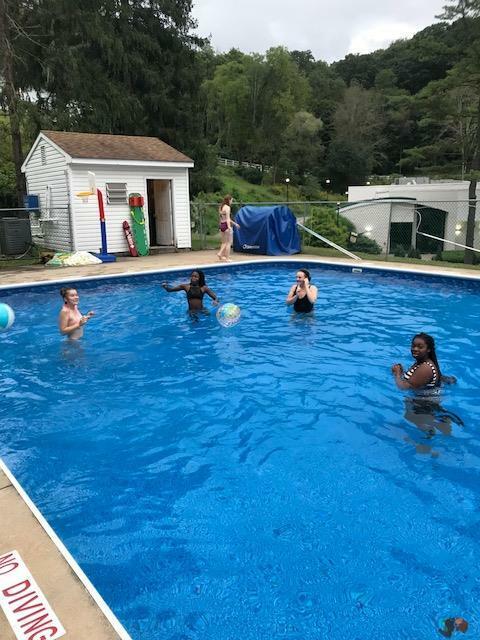 Finishing the First Week of Classes with a Splash! 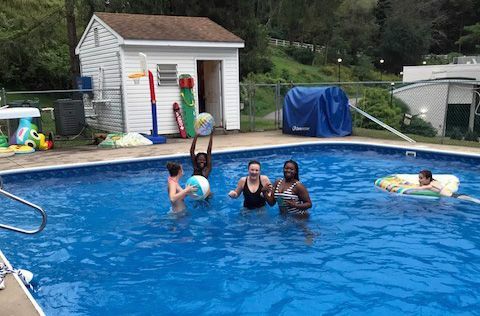 Friday, Grier students enjoyed splashing in Grier's heated outdoor pool to celebrate the first week of classes. 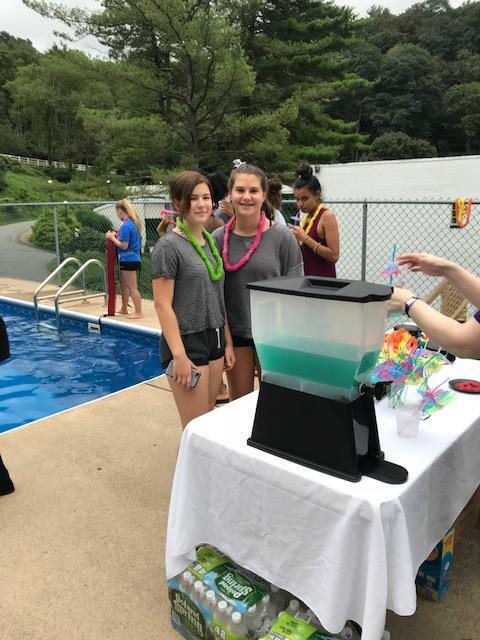 Activities Director and Grier Store Manager Holly Carper organized the on-campus Pool Party. 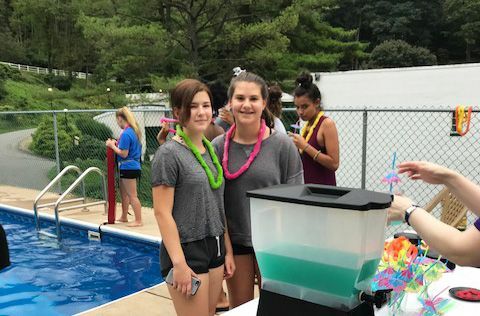 Girls could also enjoy snacks and fancy beverages poolside. Alexea and Lennox wait for some fancy poolside beverages. 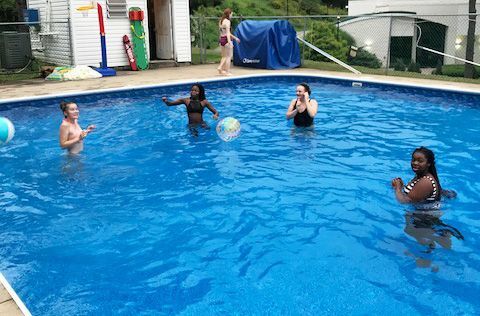 Friends splash in the pool. 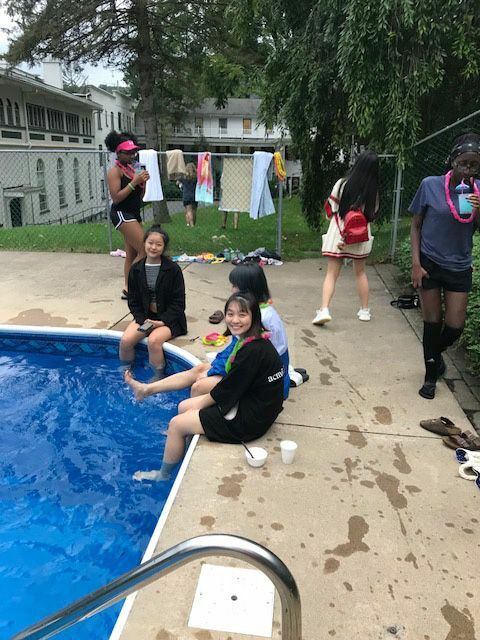 A group of poolside party attendees. 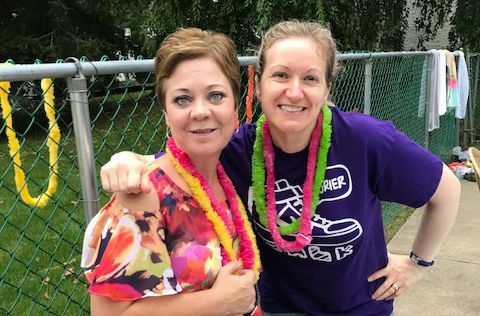 Mrs. Hensor and Mrs. Gerber chaperone the event. Putting toes in the water.